TEAM UP WITH YOUNG JUSTICE IN DC LEGENDS! 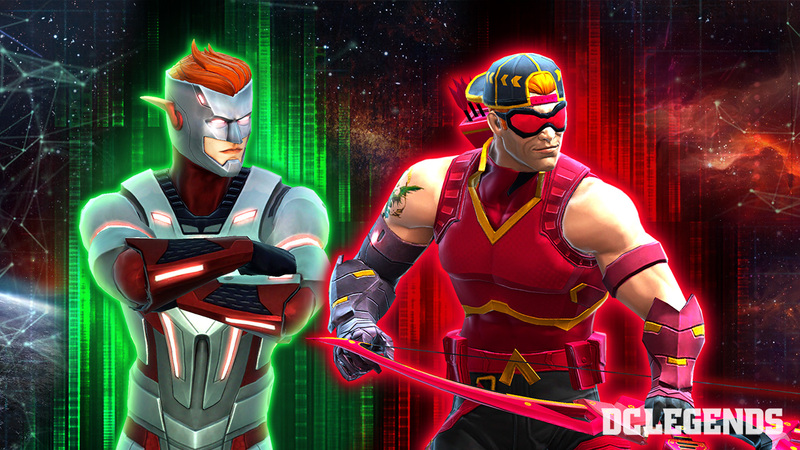 Collect and Command your favorite DC Super Heroes and Super-Villains in DC’s mobile exclusive Strategy RPG! Nekron and his legion of Manhunters have launched an all-out invasion to destroy the DC Universe and fulfill the Blackest Night prophecy. Collect and level up your unlikely team of Super Heroes and Super-Villains to save the world in epic 4x4 combat! Team up with characters from iconic films including Wonder Woman, Aquaman and Justice League, as well as heroes from the CW DC series and the legendary line of comics, not to mention brand-new Young Justice characters Wally West and Arsenal! Orphaned at a young age, Roy Harper was raised in an Indian reservation by Brave Bow, who taught him how to shoot with a bow and arrow. Oliver Queen would eventually meet Roy and witness his archery skills, inviting him to be his ward. Roy would become his crime-fighting partner Speedy, named as such because he was faster than Green Arrow himself. After several adventures with his mentor and the Titans, he would take up a new name: Arsenal. With unparalleled accuracy and speed, Arsenal uses trick arrows to both weaken and blind his enemies! Wally West grew up admiring Central City’s superhero, The Flash. One summer, lightning struck some chemicals that spilled over Wally, granting him the same powers that a similar accident had granted to the Flash some time ago. Since then, Wally became Kid Flash, the Flash’s sidekick, until the fateful day of Barry’s death. Since then, he has continued the legacy and become The Flash. Wally West speeds up his allies with his power over the Speed Force and uses his exceptional speed to evade incoming hits! YOUNG JUSTICE IN INJUSTICE 2 MOBILE! Unleash your inner hero this New Year and collect over 80 DC Super Heroes and Super-Villains in DC’s mobile fighting game, Injustice 2! 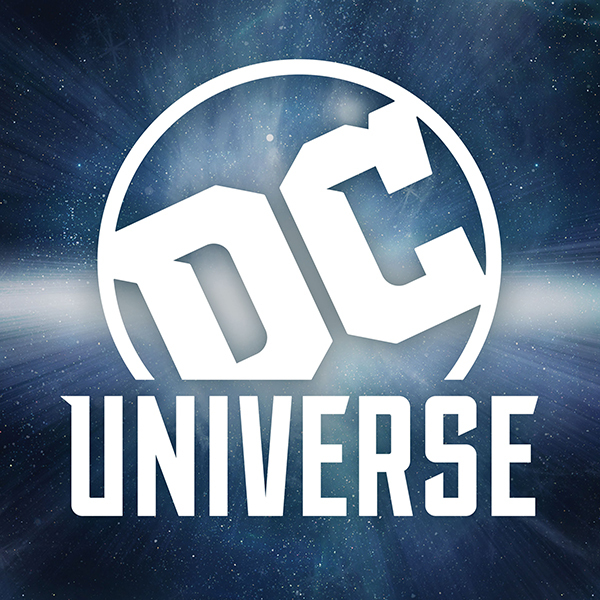 The vast character roster includes heroes based off DC’s hit movies Justice League and Aquaman, CW’s Super Hero TV shows, nostalgic characters like Classic Superman (inspired by his first comic book appearance), and favorites from Injustice 2 console’s story mode, including Young Justice characters Blue Beetle and Nightwing! The Injustice 2 story takes place in an alternate Universe where Batman and Superman don’t see eye to eye. Jaime Reyes’ Blue Beetle is one of Batman’s allies in Injustice 2, and fights to get to the front lines to show the world what he is capable of. 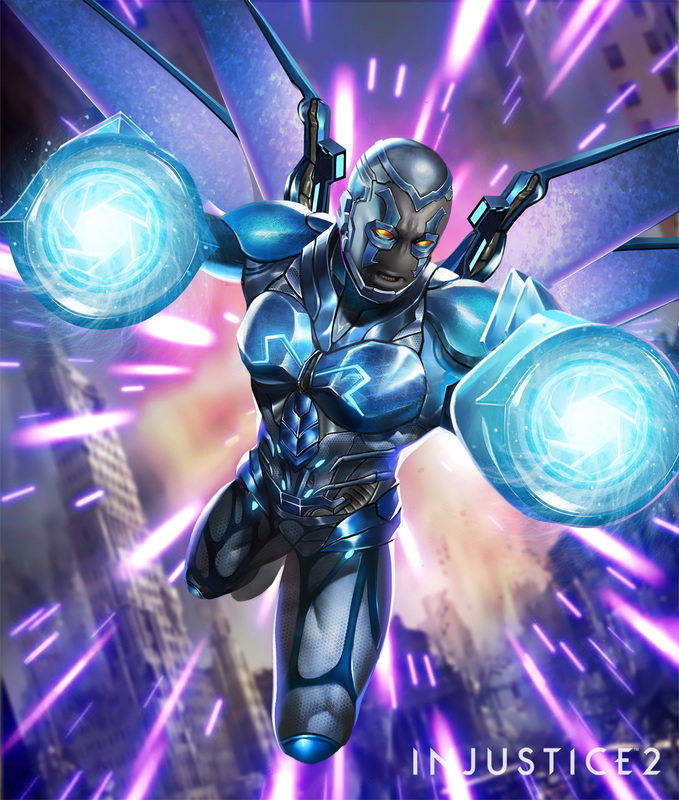 Blue Beetle joined the mobile roster in August 2018 as a powerful arcane hero with versatile fighting abilities. Blue Beetle is a must-have hero on the roster and is known to cause massive damage to opponents with abilities like “Scarab Stabs” and “Power Blades”! Blue Beetle’s hero shards can be earned through Challenge mode starting on January 4th, 2019 and the Blue Beetle Premium Hero Chest available on January 3rd, 2019. Damian Wayne’s Nightwing clashes with Blue Beetle and joins Superman’s Regime against his father Batman’s wishes! 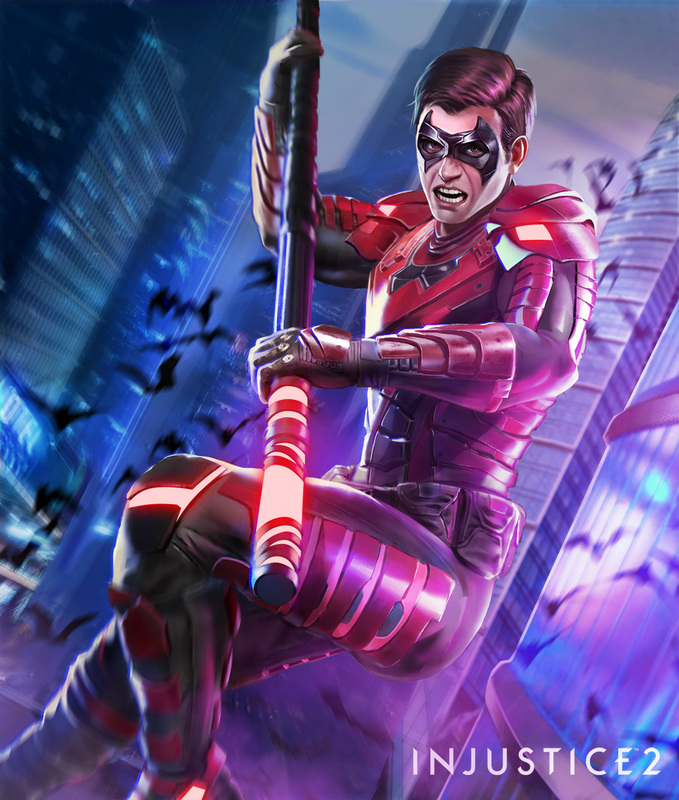 Nightwing also joined the Injustice 2 Mobile cast in August 2018 as a damage dealing tech class fighter! His ability, “Staff of Grayson”, allows him to generate power quickly by blocking incoming attacks, which makes him an important member of any team. 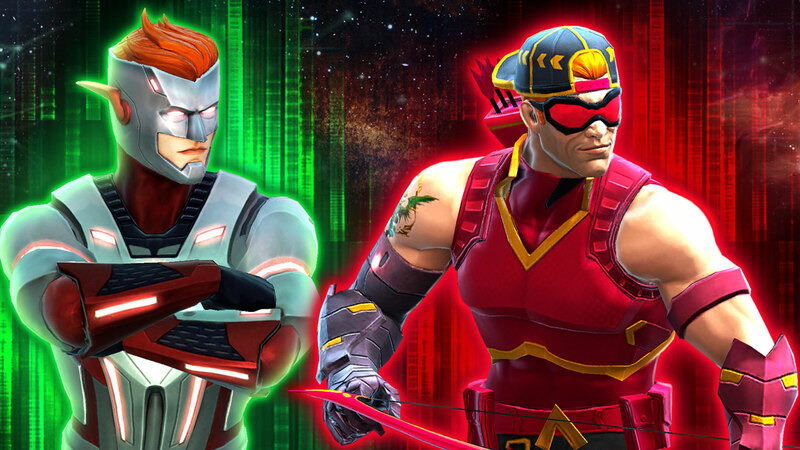 Nightwing’s hero shards can be earned through Arena battles or can be unlocked through the Dark Duo Chest available on January 7th, 2019. A full set of Nightwing Gear can be purchased on January 7th, 2019 in the new Nightwing Gear Packs. Are you a fan of DC Legends or Injustice 2? Let us know in our Community!